Many music listeners pay attention to the voice, lyrics, or beat structure of a song, but few rarely wonder how it all comes together to sound just right. That’s the job of people like James Ho, a recent audio engineer graduate of HonCCʻs MELE (Music Entertainment and Learning Experience) Program. Audio engineers are the magicians behind the magic of music. After switching his major from Liberal Arts to the MELE Program, Ho’s love for creating, learning, and recording different music styles was solidified. He said that he had “good technical understandings,” and found himself genuinely interested in the audio production side, versus the music business side. He was fascinated by the concepts that were being taught to the students, from signal flow to miking techniques that give listeners a sound that truly peaks their interest. 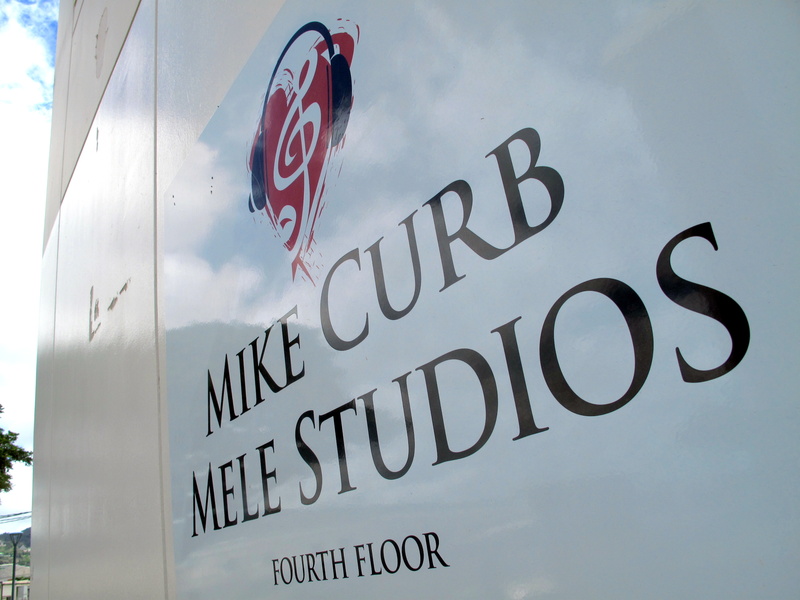 His passion for music and audio go hand in hand, making the MELE program a playground where he can play with and learn various techniques while improving his skills. Every chance he gets, he’s in a studio, applying different techniques he’s picked up. When he learns something new, he immediately tries to get his hands on the gear to try it out. After he’s practiced a technique, he likes to experiment with them on different projects. “I want to be remembered as that insane guy who was experimental in his learning, doing crazy things that were not normally done,” he says. Once he learns techniques, he also helps other students understand the concepts as well, and this, in turn, gets other students more interested and involved with the work, and helps reinforce what he’s been practicing. As much as he loves the studio and audio concepts, he says it’s the relationships he’s made in the program that made this experience more worthwhile. One day, when you’re listening to a hit track, look at the credit list of those who made the magic happen – and you may just stumble over his name, James Ho.